It’s just four walls, a floor, and a ceiling—how much thought do you really need to put into your office? Actually, quite a lot. What you do with this space can make or break you, as a good office design will essentially support and enhance your business in many ways. If you want to succeed, you have to consider what you do with your office. Investigating and researching what makes a good office is advisable. Spend some time planning and thinking about the best way to go about things. If you already have an office and want to make some changes, consider speaking to colleagues too. They might be able to enlighten you about the aspects you hadn’t considered. 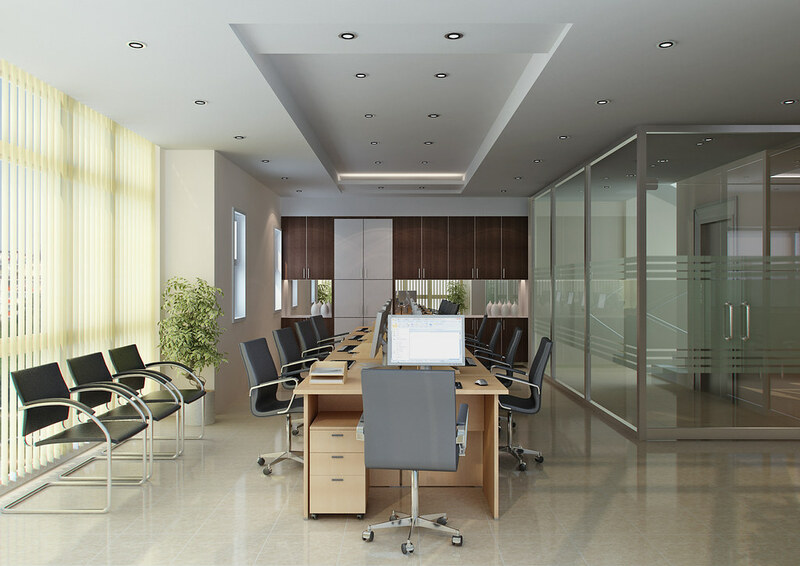 Here are some of the reasons why the perfect office space will help to boost your business. If you run a business where clients and customers come into your office, a well thought out and aesthetically pleasing space will make a positive impression. It will make your company seem well polished and legitimate; on the other hand, meetings held in an outdated or drab space may be putting people off. In the cut-throat world of business, is this really a risk you can afford to take? Your customers or clients could simply go to your competitors instead. Think about the aesthetics; light-colored walls will make the space feel bigger and airier. Good quality furniture will look nice as well as being practical. Plants and greenery bring the space to life and have also been shown to have wellness benefits in the office. Plus, good quality signs with your company logo help to tie everything together and create more brand awareness. A site like http://www.islandprinting.com.au/banners-signs/ can print things like this which would be ideal for your office space. Your office is the face of your whole company, so it needs to promote a sense of knowledge and trust if you want to get customers and clients on board. The last thing you want is for someone to visit and end up disappointed or underwhelmed. This could have an adverse effect on your business’s reputation. Your office is the face of your business and something that benefits customers and clients, but it also will mean your employees are more satisfied too. This is good news for you since it leads to better productivity and therefore more profit. If you look after your employees, they will look after your customers—and your business will run much more smoothly. Furniture should be ergonomically designed for maximum comfort and performance. For example, you should opt for supportive chairs to reduce pain and strain of the muscles. Standing desks may also be useful in some cases; bear in mind the health and role of the staff member. Another thing to consider regarding employee satisfaction is lighting. The right lighting can actually make workers more efficient. The dim glow of artificial lighting can cause eye strain, headaches, and tiredness. On the other hand, natural lighting in office environments has been shown to boost mood and function. So, use natural light where you can. You could do this by reconfiguring your office so that desks are positioned near windows. If you’re in the process of finding an office space to buy or rent, look for somewhere which has large windows and naturally gets a lot of light. Natural light helps people see things better since human vision is designed to adjust to changes in natural light. At the very least, use “daylight bulbs” instead of harsh fluorescents. Use the right lighting, and you will find that worker productivity increases. This is because the kind of light you’re exposed to controls your melatonin levels. In turn, this affects how awake and focused you feel. Another important aspect to consider for your employees’ satisfaction is downtime/ break areas. This gives everyone chance to relax and interact with each other, and people aren’t having to get up and leave the premises for lunch and break times. If you can transform a tired and gloomy office into one that promotes motivation and inspiration, this will reflect positively on the overall business and make your staff much happier. You could check out an article like http://www.reliableplant.com to find out other ways to make staff happiest. The layout of your office is something that shouldn’t be overlooked since it impacts the way your employees can perform their jobs. Think about the types of tasks your employees perform and go with a design which is both comfortable and functional. Many modern offices favor an open layout where staff work at communal tables or workstations with low walls. This allows them to interact with co-workers and is useful for group and collaborative work. However, you will need to consider if this is the best move for your business, and it will depend on what it is you do. If your employees perform tasks that require intense concentration or privacy, then open play many not be the best route. Ideally, your office will feature both collaborative and more private areas. This means that regardless of the task, there’s a suitable space to work. Research by Google has shown that people work best in teams of seven. This is because it’s a group size where a leader isn’t needed; members can work on an equal footing and all guide each other. Interestingly, the average family size around the world is seven—and there seems to be something a little magic about the luckiest number. Bearing this in mind, you could go with the approach Google has, and create work areas with spaces for seven people. You might find it helps with worker productivity. Sites like www.pinterest.com have lots of visual guides and images that can help you with your research. Are you constantly having to apologize to customers and clients for the system being down? Or are slow computers are the bane of your employees work day? In this case, updating is essential. It might cost money upfront, but as long as you have slow computers, you are losing valuable working hours. You might even be losing customers, too, since it makes your business look unreliable. Invest in good hardware and software. This allows workers to do their job most efficiently and also saves the from doing tedious manual tasks. What could take a worker all day could take a computer minutes with the right programs. No longer do you have to wait for ages for pages to print, or for someone to manually go through all of the company’s accounts. Modern technology means you need to hire fewer workers, and the workers that you do have are being put to best use. Computers can of course do things much more quickly and efficiently than humans, and it keeps everything much more accurate too. So, take advantage of this and you will boost business. Websites such as www.pcworld.com will advise you on some of the best company software you could go for. Proper storage systems are vital in the smooth running of your business. Everything has to be neat and accessible, with good records kept for all transactions. Thanks to the cloud and online backup systems, the average office now has a lot less paperwork than in years gone by. But you will still always have some paper records, so you need the right pieces of furniture. Updating your office can feel like a monumental task, and the likelihood is you will need to budget a fair amount of money to make the relevant upgrades. But when it has such a crucial role in the success of your business, it’s simply not something you can overlook. Are you currently experiencing high staff turnover, or are losing out on valuable clients and don’t understand why? Then this could well be it. As business owners, we pour our heart and soul into our work, and when success and failure is in our hands, it’s important we take the necessary steps for it to do well. And a great office is one of many components. Spend the time, money, and resources here and it will pay off everywhere else. As a business owner, have you put much thought into your office space?